Making wine at home is fun and easy to do. Whether you want to harvest your own grapes and fruit or you choose to use one of our high quality wine kits, this equipment kit is full of versatile equipment to accommodate any type of winemaker. 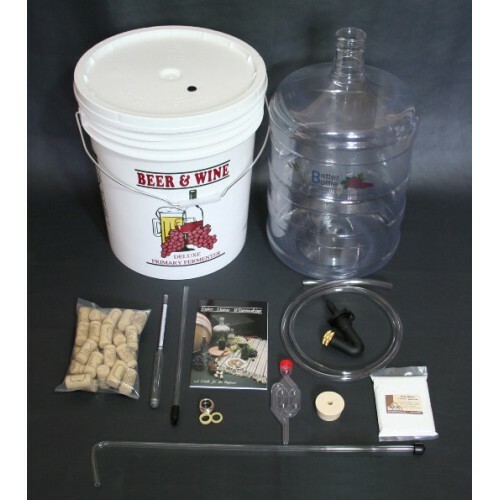 The Basic Wine Making Equipment Kit contains all the equipment needed for two stage fermentation, siphoning, testing, bottling, sanitizing and more. 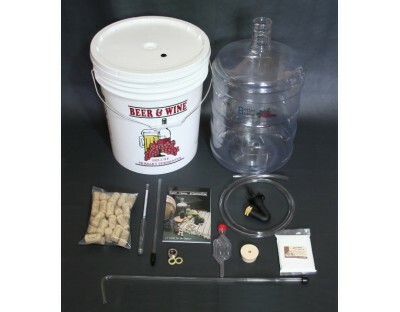 Sized for fermenting up to 6 Gallon batches of wine. Upgrades and discounts allow you to further customize the kit to your liking. Take $5 off the Corker of Your Choice! Choose From: Hand Corker, Easy Double Lever Corker, Gilda Three Lever Corker, Portuguese Floor Corker or the Italian Floor Corker.